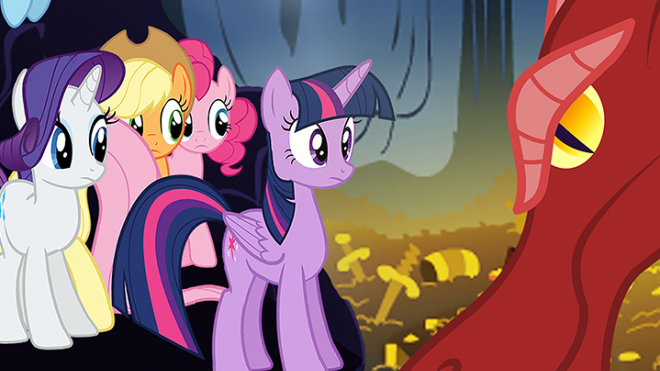 The team at River Horse have delivered a few new sourcebooks for those delving into more My Little Pony role-playing. 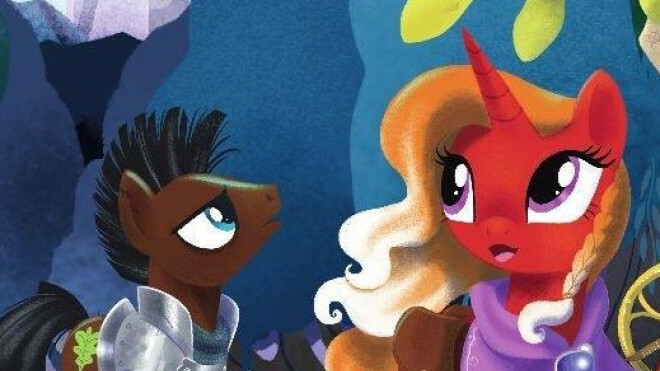 River Horse Games has made their My Little Pony: The Bestiary Of Equestria available for digital download through DriveThruRPG. 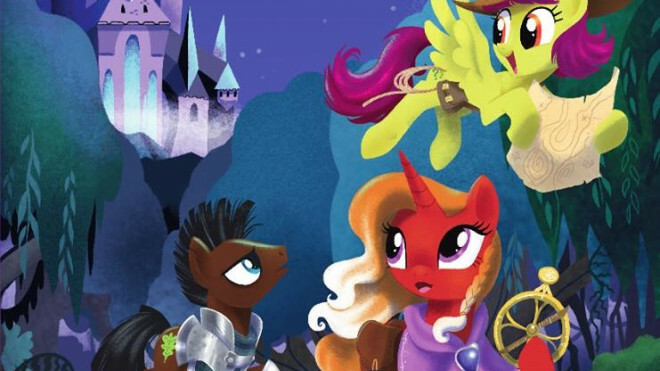 The My Little Pony Storytelling Game from River Horse is quite the hit with a lot of younger tabletop gamers. 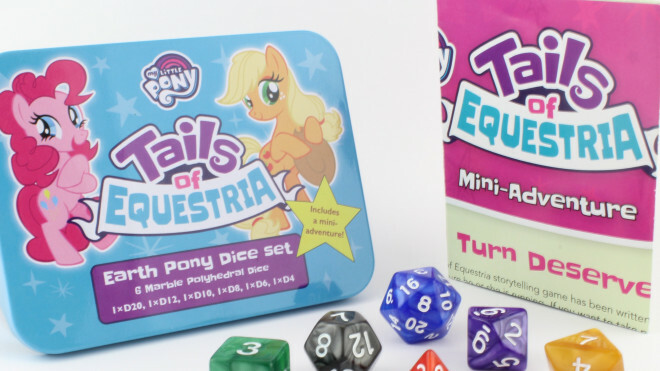 In supporting the line-up they've now come out with themed dice sets for three of the types of Pony you can play. ...we have a special guest this week from a far away land! 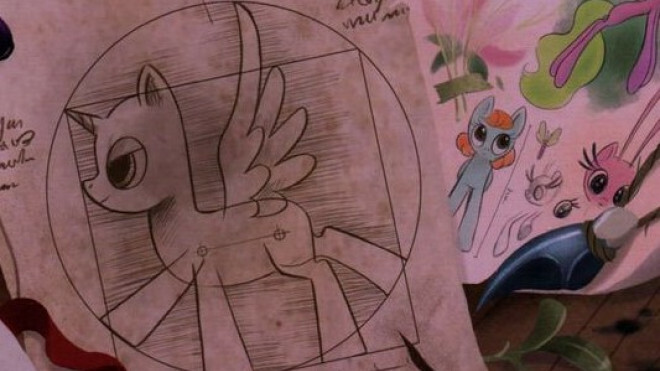 Alessio Cavatore's Riverhorse has been toiling away at the My Little Pony Tails of Equestria RPG. 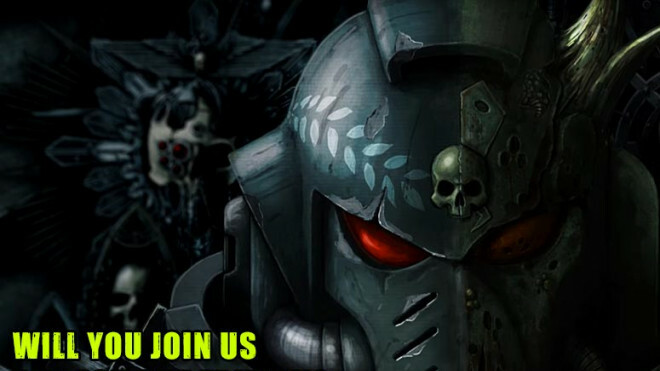 We get a look at some of the accessories for the game. 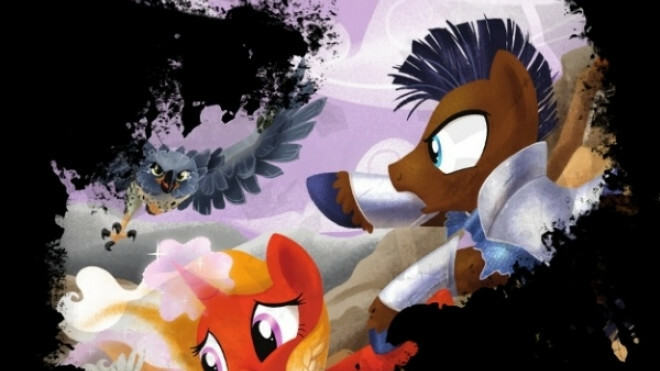 Ninja Division and Shinobi 7 have announced they will be providing distribution for the My Little Pony RPG in the U.S. The fantastic RPG by Alessio Cavatore of River Horse will be making its way out to fans in 2017. 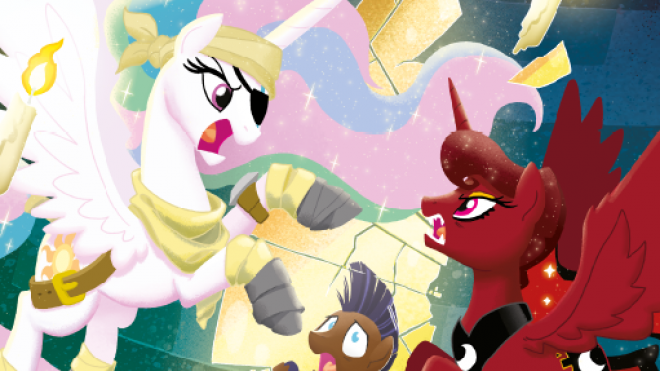 River Horse move closer towards the release of their My Little Pony role-playing/storytelling game, Tales Of Equestria, as they show off the cover art from the book!